Forests are self-replicating ecosystems that expand naturally without any human involvement. The same can be true of your gardens. 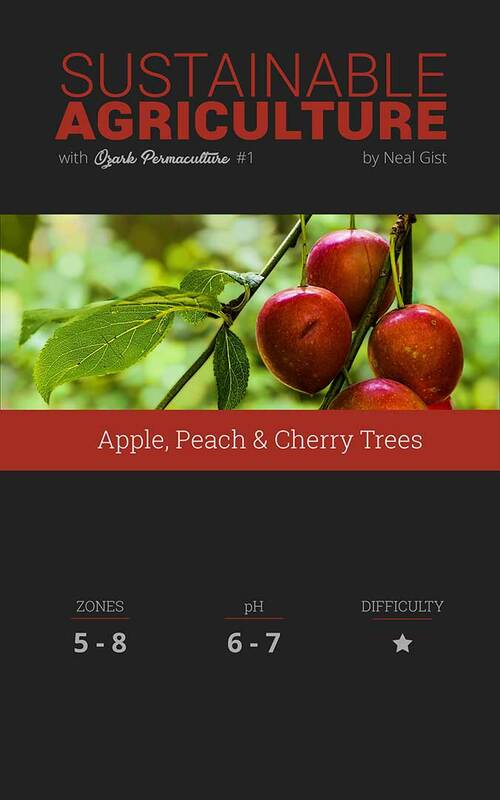 Learn how to grow apples, peaches, and cherries without fertilizers or pesticides—the permaculture way! This ebook is the perfect blueprint to jump start your organic food forest. By following the strategies in this book you can ensure a nutritious yield while minimizing oversight as your garden becomes more sustainable over time. Organic Fruit – NO CHEMICALS! Certain plants have intrinsic characteristics that impede weed growth, fertilize soil, repel pests, or attract beneficial predators that can be strategically assembled to create productive ecosystems. Mature forests are self-replicating, expanding on their own without human micromanagement. This process can be emulated to provide ongoing sources of food. Some plants are fairly versatile, capable of surviving in extreme conditions while others require very specic circumstances. It’s important to understand how species can be flexible in order to grow them strategically. Please join our newsletter to stay updated when the print edition is released! Traditional gardening requires a constant draw of resources to nurture each plant to its potential. Money is needed to buy soil, fertilizers, mulch, fences, and more— not to mention the time and labor spent administering those items. Not only is this approach unsustainable, it’s wholly unnecessary. Instead, we can create self-sufficient gardens that function autonomously just like a natural forest. 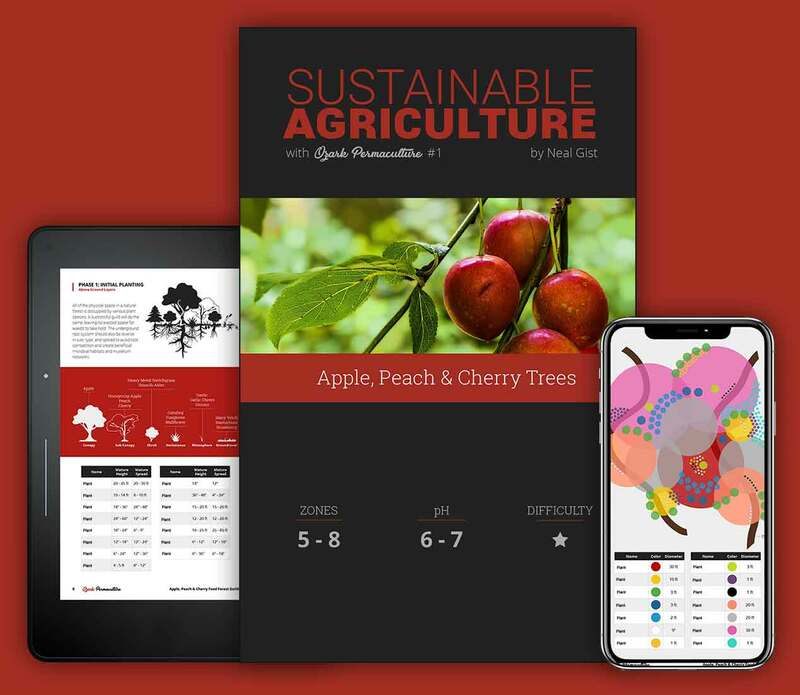 This book provides an assembly of plants to create a sustainable source of apples, peaches, and cherries with minimal micromanagement. After the system has matured, no oversight will be necessary.